Authentic Writing by a 5 year old: Wonderful! Teaching 5 year olds is special. 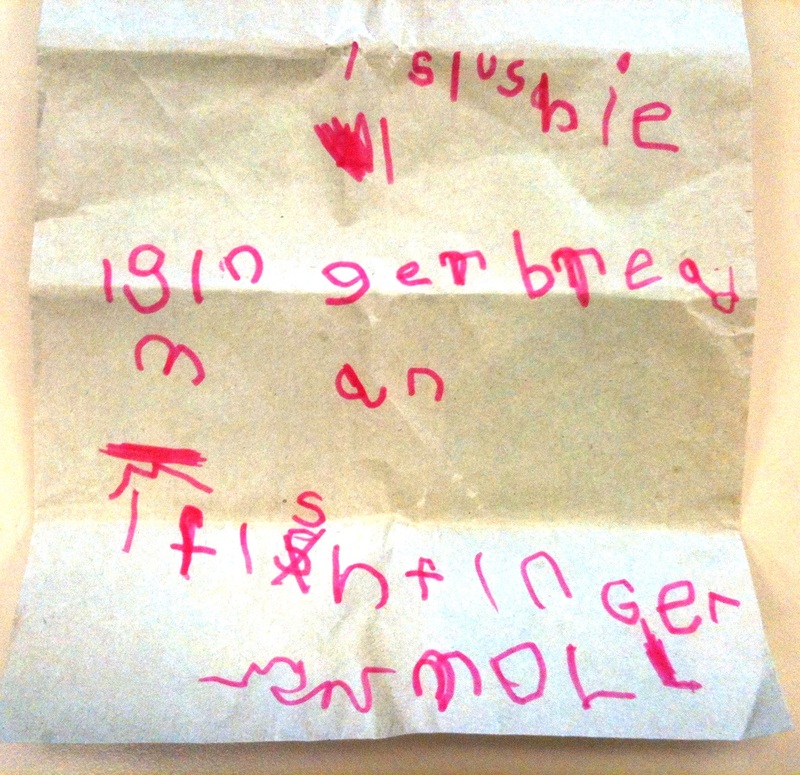 Last week one of my students insisted on writing his own lunch order with the help of a canteen list. He was very proud of his effort and received everything he ordered. The power of writing!